Is that incredible or what? This video is brought to us not by NASA, but by Bard Canning, an “amateur” video engineer who obviously put a lot of work into creating this magnificent video. 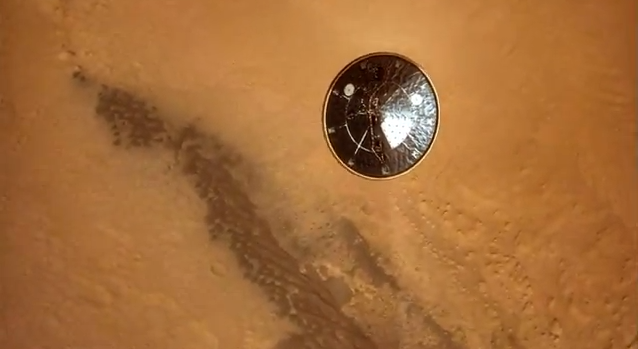 The video is actually an interpolation of the original high-resolution video taken by the Mars Descent Imager mounted at the bottom of Curiosity. The original video was taken at a rate of of just 4 frames per second (fps), resulting in a very jerky visual. To create the smooth, natural motion, Bard had to increase the frame rate from 4fps to 30fps. But those frames don’t actually exist, so Bard had to create them! Bard does this by using a technique called motion-flow interpolation. In other words, he had to work frame-by-frame for 4 weeks straight, creating 26 additional frames by comparing the differences between the 4 frames of the original video – for each second of footage! But that’s not all – Bard worked hard to stabilize the video, since Curiosity was obviously swinging wildly on the way down, and even tweak the color balance of every frame of footage. 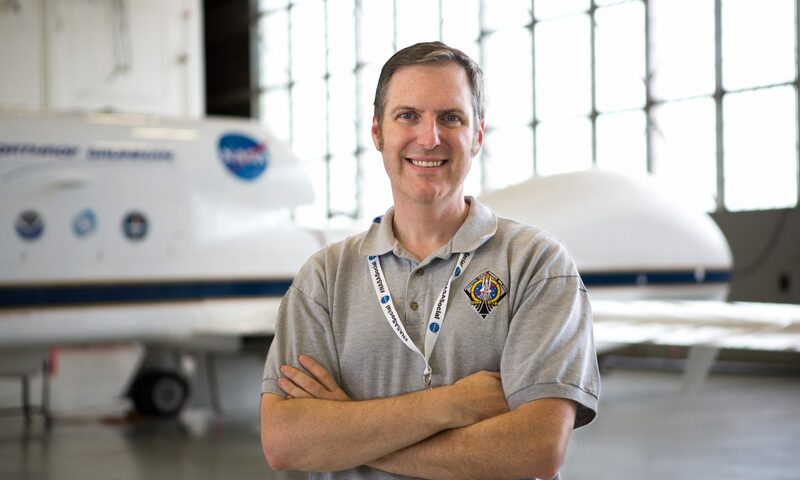 The result is a smooth, natural feeling of what it must have been like to actually descend with Curiosity through the atmosphere and land on the surface of Mars. Coupled with the actual sound from the spacecraft, and you have a video that feels more real than the actual footage! As an added bonus, Bard was kind enough to share his movie-making magic with us in a separate video, and even a side-by-side comparison with the original video. Both are worth checking out. 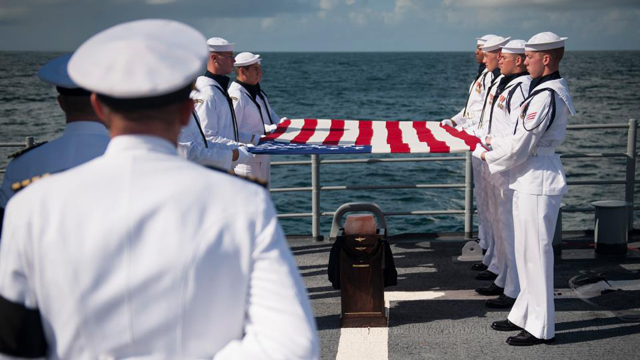 Today, Neil Armstrong was laid to rest in a private burial at sea in Navy tradition. Of course, Armstrong’s passing will spark the recurring question of when or whether NASA will return astronauts to the Moon or beyond. But for today, I wanted to remember Armstrong in the seminal moment that defined his life, and set a marker that would forever define the history of the human race into two halves – one when humanity was confined to Earth, and another in which humanity walked upon another world. Over the years, I’ve seen several paintings and photos of those incredible forays on the surface of the Moon. But this painting, created by the late space artist Paul Calle in 1969 is, to me, striking for its sheer loneliness of being the first human to set foot on another world. Of course, Buzz Aldrin was in the Eagle Lunar Module ready to descend the ladder a short while later and yes, there were thousands of engineers and technicians who worked for years to make this moment possible, to say nothing of the millions of people around the world watching the events unfold on television. But for a moment, there was just Neil Armstrong, alone, standing on the surface of the Moon. Thank you Neil, for that giant leap for all of us.